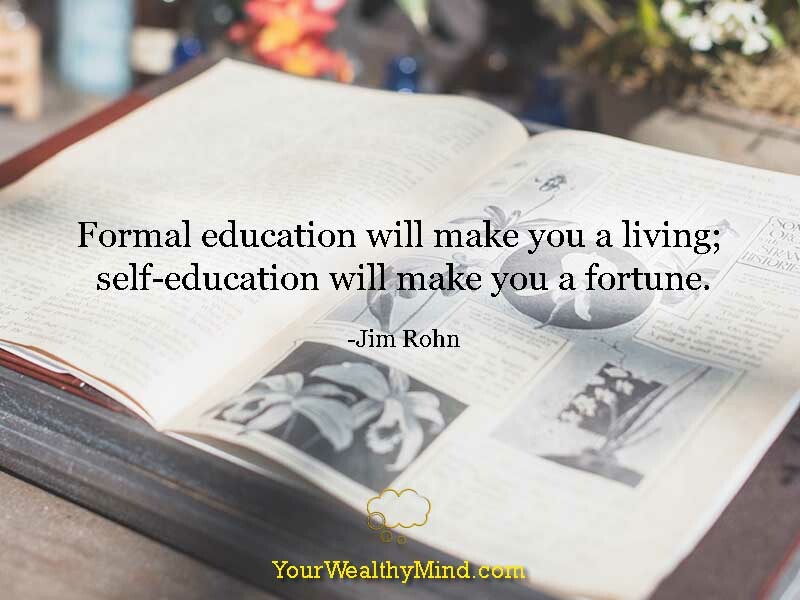 Continuous self-education may be the most valuable habit that you can learn, and it’s something that MANY leaders like John Maxwell, Jack Canfield, and even companies like Toyota (go search the term “Kaizen”) believe in. 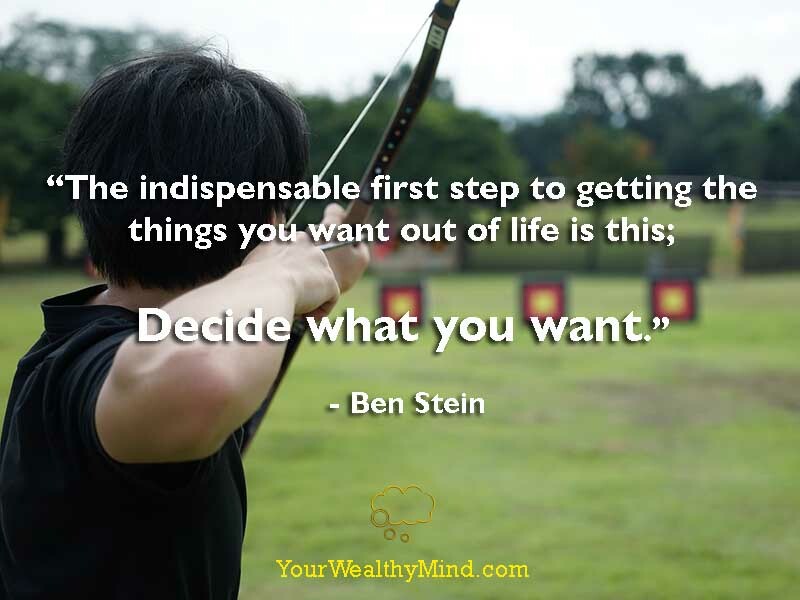 That particular value is also the central theme that this blog, “Your Wealthy Mind,” aims to teach: You can achieve anything you want in life… if you LEARNED HOW. There’s a famous quote that says “what you focus on expands.” Keep thinking and worrying about your problems and they’re all that you’ll ever see. The more time you spend on those, the less time you will have thinking about your blessings and opportunities. Conversely, the more time you spend thinking about and being grateful for the blessings and opportunities that you have, then you’ll notice that you’ll find more of them (and remember this: your blessings and opportunities can actually be used to solve your problems). If you have $50 to start a business, will you choose the strategy that has a 30% chance of earning $100, or the other strategy that has a 50% chance of earning $1,000? If you act in a way that’s hesitant or half-hearted, then you’re instantly setting yourself up for failure. If you act with confidence and commitment, you simultaneously increase your possible rewards as well as your chances of success. A famous passage in the bible says “Where there is no vision, the people perish.” Imagine a good future for you as well as your family and friends: one that’s full of joy, prosperity and love. Work hard and do your best to make it a reality for if you don’t, you’ll certainly end up with something completely mediocre and underwhelming. One mistake that most people make is thinking that “doing good” and the “laws of karma” only applies to helping the poor or giving to charity. It’s not. Cause and effect applies to EVERYTHING you do, and that includes working harder to develop your professional skills, investing money in great assets, investing in your mind (self-education), and many more. Remember that for everything you do, like what you eat every day, what you read or watch, and how you spend your time, will all determine the kind of life you’ll have several years into the future. If you consider everything that you’re doing right now, do you believe that you’ll have a good one? Napoleon Hill once said “Whatever a man can conceive and believe, it can achieve. ” That includes wealth, success, and achievement… as well as poverty, failure, and mediocrity. Whatever you think of and believe in, you’re going to get it, so choose wisely. Unsuccessful people think that the world’s riches and opportunities are scarce and that only a select few OTHER people are going to be lucky enough to get them. If you want to be prosperous, then you must learn this one secret that all “lucky” people know: There are riches and opportunities everywhere… but only if we go out there and work to create them. Susan Jeffers, the author of “Feel the Fear… and Do It Anyway ” taught that if you think positive thinking is unrealistic, then ask yourself what makes Negative Thinking more “realistic?” What makes thinking “I’ll fail in everything I do” more realistic than thinking “I know the risks but I’ll still do this to achieve what I want”? You can think of failure and decide to just scrape by, or you can think of success and choose to make things happen. 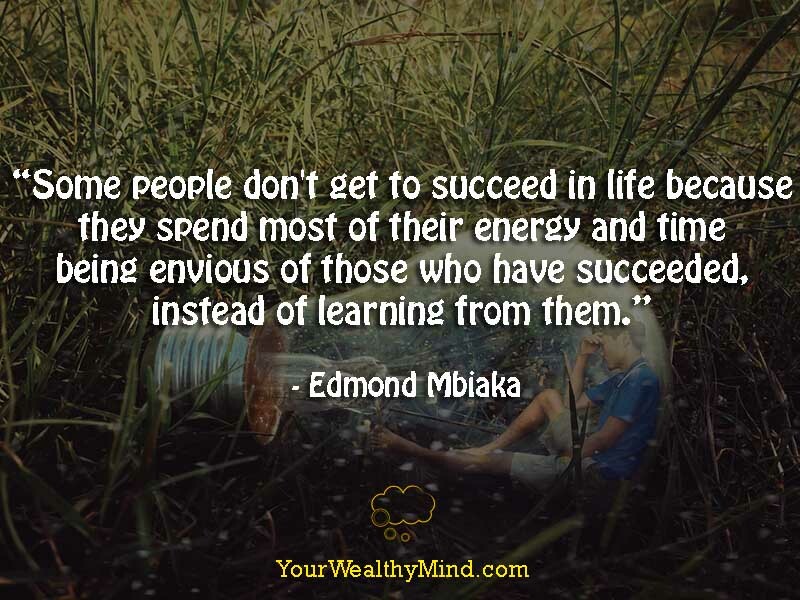 Although I cannot recall where I learned this, this is one lesson I can never forget: Unsuccessful people focus on their current circumstances (their poverty, lack of success, mediocrity. etc.) and think that it’s all they’ll ever get, so they stay there doing the same things and getting the same results all their lives. Those who look towards a better future, those who think of what COULD BE and work to make it reality, are those who eventually become successful. It’s been said that you are the average of the five people you hang out with the most. Hang out with drunkards and you become one when you keep joining them at the bars. Hang out with criminals and you become one when you inevitably help them out in their schemes. You can also hang out with rich and successful people who can encourage you and teach you what they know so that you can be successful too. It’s all up to you, so choose wisely. Choose Your World: Is it kind or is it harsh? You can believe that the world is a harsh place where only a few people are “chosen” to be “lucky” and successful, that there is nothing you can do to better your situation, that people are only out to take advantage of you and react accordingly… or you can choose to believe that you can make your own opportunities, you are in control of your own destiny, and that there are people out there who need your help and are also willing to help you. Whatever you believe, you’re right. In one of my previous articles I mentioned how Brian Tracy (author of “The 100 Absolutely Unbreakable Laws of Business Success ”) reported some research that beyond IQ, family wealth, education, and several other factors, the one main factor that leads to future success is having a longer-term “time perspective.” When you think of the long-term consequences (10 to 20 years or more) of the things you keep doing, you’ll generally start making decisions that give the best results throughout your lifetime. The results won’t be instant, but the years will pass by quickly enough and they’ll catch you off-guard if you haven’t been preparing. Have you ever wondered why, even though so many people come from similar backgrounds, some become more and more successful while others grow worse and worse throughout the years? The answer is simple, as Aristotle explained: “We are what we repeatedly do. Excellence, then, is not an act, but a habit.” Keep doing what’s good, and you’ll keep getting what’s great. This is one lesson that multiple life coaches teach: “Trust your gut.” Your subconscious mind has access to and can process all sorts of information that your conscious mind cannot, and it gives you the solutions to your most desperate problems through your intuition. Upon considering all the pros and cons of each option, your intuition will generally tell you the best choice if you’ll listen. Whether it’s that inspired feeling you get when you think about going to that interview or that sinking feeling in your stomach when you talk to that suspicious “investment salesman,” you must learn to trust your subconscious mind when making decisions. The saying “you are what you eat” is true in the most literal sense: Everything you eat becomes the building blocks and fuel for every cell of your body, including your BRAIN. Can you imagine building a Ferrari or a Porsche out of cheap plastic and junkyard iron, and then trying to make it run with crude oil? I’m pretty sure riding it full-speed at 200 miles-per-hour is a scary thought. How well your mind and body functions will depend mainly on what you feed it, and there’s evidence that eating nutritionally-deficient food can and will affect your thoughts, mood, and behavior (check out “The Hundred-Year Lie ” by Randall Fitzgerald and “Death By Supermarket ” by Nancy Deville). Always remember to take care of your body by eating healthy and nutritious food like quality vegetables and lean meat. Some studies suggest that your overall happiness in life will depend on the quality of your relationships. Eliminate toxic and manipulative people out of your life and cherish your friendships and family relations with those who bring you joy. Discipline yourself to do what you need to do, even if you don’t feel like it. Like how thinking in longer terms correlate to financial success, Daniel Goleman (the author of “Focus: The Hidden Driver of Excellence”) reported that self-discipline and the ability to delay gratification is yet another factor that successful people have. Whenever you’re tempted to do something that has negative long-term consequences, start thinking about and working on something else entirely (something more important) in order to avoid it. Sometimes, the best course of action is to do nothing. When you find that the stresses and problems of daily life are too much, make a decision to take a break. Get up and go out for a cup of coffee or take a day off. Do absolutely nothing related to work, just relax, and have fun! When you return, your mind will be clearer and you’ll be able to get far more done than if you continued to remain overworked. Quite a lot of people already know about the 80/20 rule which states that 80% of your results come from 20% of your activities and the remaining 80% of your activities, like watching TV, etc. are next to useless. Always remember to do what’s important and stop wasting time on things that aren’t. Eleanor Roosevelt said that “great minds discuss ideas, average minds discuss events, and small minds discuss people.” Even though some might find idle gossip to be fun, it’s much more productive to discuss your future plans and growth with those who are mature enough to listen (again, choose your friends wisely). The more time you waste at idle gossip, the less time you’ll have at gaining ideas and making things happen. You can fail at the things you hate, so why not do what you love? This was a lesson I learned from Jim Carrey’s commencement speech at Maharishi University: You can choose the “safe” paths and choices in life, like that safe job or comfortable career… and then still fail at it (in Jim Carrey’s case, his father chose the “safe” job as an accountant, but was laid off anyway). There are never any guarantees in life, so if you’ll face risks anyway then why don’t you try doing the things you love instead of only aiming for and getting what you hate? When you believe it’s right, Persevere! Calvin Coolidge said that there are many educated, talented, and intelligent people out there who are NOT successful. The one thing that’s an essential ingredient for success, he notes, is your persistence and determination. As you keep doing something, you’ll keep getting better at it and, at some point, you’ll make something happen. Again, you reap what you sow. Sow nothing, you reap nothing. Dig yourself into debt and overconsumption, and you’ll reap hardships. Save and invest money and you’ll not only give yourself the discipline that it takes to succeed, but you’ll also ensure that your future will be filled with abundance and prosperity. Sure, money is not the most important thing in the world, however, if you have a lot of it, you can accomplish FAR more things much faster than if you don’t. Want to help a poor community in a third world country? It’s much easier if you have an extra million dollars you can use to build schools and hospitals there than if you don’t even have enough money to pay the bills. Continue educating yourself; Read Great Books! One of the greatest mistakes that countless people make is thinking that education stops when they graduate. It doesn’t. Again, you can achieve whatever you want when you learn how, and you can also find limitless opportunities when you learn that they exist. With a little research, perhaps you’ll discover many things that are right for you, like starting an online business, stock investing, forex trading, or even real estate development. Perhaps you can also learn ways to plan projects, organize teams, and learn the other skills you need to advance in your career! Can you imagine a baby taking its first few steps, stumbling, and then deciding to never walk again? Can you imagine Michael Jordan or Kobe Bryant, two of history’s greatest basketball players, miss just one free throw and then decide to quit forever? We ALL fail or make mistakes every now and then, yet we must keep going and learning if we want to succeed. We get thousands of opportunities in our lives, and the only way to fail is to stop trying at all of them. Long ago, railroad companies were some of the biggest in America. The times changed, however, and those companies who refused to adapt and continued focusing solely on railroads quickly started dying out. 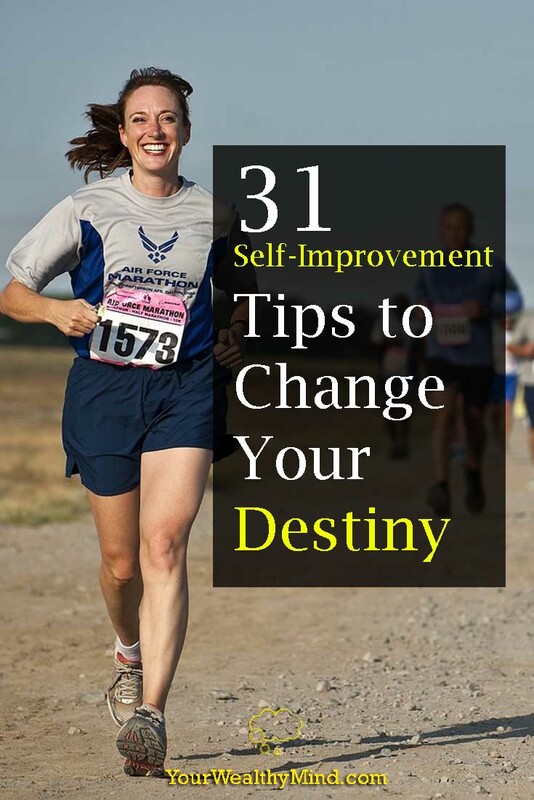 Things change every year, every month, and every day; whether it’s the current technology, government laws, or your state of health, you must learn to adapt and use those changes to keep doing well and keep yourself from getting blindsided by it all. Things take Time, and you only have so much of it. Spend it well.